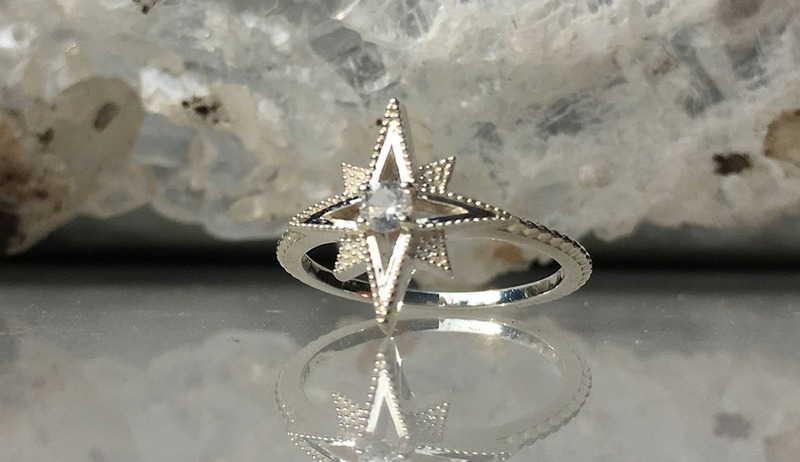 Sunbeam Ring is currently out of stock, however this piece can be specially hand made for you in 4-8 weeks after your online order has been completed. Made with care in 925 Sterling Silver. The Sunbeam ring radiates the light of the sun in the sky. The beaded detailing on the setting follows onto the band like golden rays from the sun. At its centre is a White Zircon stone of pure light.